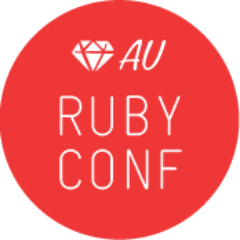 « July/August Ruby workshop registration open! In the spirit of doing the simplest thing that could possibly work, I implemented it as my husband in a mildly baby-proofed conference room with a Wii, Mario Kart, a Shrek DVD, and an assortment of (analog) toys. Out of 60+ attendees, three brought kids. (When they registered, we asked people if they were bringing kids, and we got several responses like “GOD, no.” I laughed.) So was it a waste of a conference room (and spousal brownie points) that might have been put to better use? Well, it might appear so to some, but a dozen or so people – that’s about 20% of the attendees – told me they registered specifically because it was available. Ultimately, these parents found someone to watch their kids, or they arranged a playdate, but if those plans had fallen through, they had a backup plan. “Childcare available” meant they could RSVP yes and mean it. That’s not a waste. This totally makes sense, but the pragmatist in me says “What about the liabilities?! ?” I’m sure your husband is a reasonably experienced caretaker, but it would seem to me that if “something” were to happen, even like a simple injury, you’re really in jeopardy. I’m sure 99% of your participants wouldn’t THINK about taking you to court when you were offering them a free, opt-in service. But for that 1%, especially if you aren’t running the workshop through a corporation, it would seem you’re putting your personal financial life on the line. You raise a good point. Anyone could sue us for anything at any time – when they break their ankle tripping over an ethernet cable, or when they burn their tongue on coffee that is too hot, or when they have an allergic reaction to something in the food, or when they slip in the bathroom, or when their kid disregards Nintendo’s warning and swings the Wiimote into another kid. I want to change the makeup of our Ruby community, so I guess that’s a risk I have to take. Honestly, I would incorporate if I had the money for legal fees, because this does seem like something that could get bigger. But this economy hasn’t been kind to my family so it’ll have to stay a grassroots effort for now. Does it show that my mother’s a lawyer? And by the way, incorporating one state over in NV is pretty cheap and easy — I bet there are reasonable people in SF who could help you with it. I see what you’re saying, though. After some thought I have concluded that my initial negative reaction was due to the fact that many organizations use the liability issue as a reason not to offer childcare at all. In reality, a waiver and incorporation take care of any issues, as you’ve pointed out. The real reason it generally isn’t offered (IMO) is because it’s nontrivial to set up and administer, and organizers think no one will use it. My point is that people may not use it, but its availability opens the event to many parents who wouldn’t sign up otherwise. The bottom line is that if a technical community wants more women, they need to put their money where their mouth is and do what it takes to get them here. I can only speak of my experience in having availed myself of Peter’s childcare services on the day. Without a support network in the U.S. (we’re from Scotland) we just wouldn’t have been able to attend. Our kids are just too young for us to leave with a sitter so it was good to have them being taken care of by another parent with baby experience but still be close by in case they needed us. thnx for sharing this informative post!!! Wonderful idea. Good for you for doing this. I was a single parent from the time my son was 3 until he was 10. Tech conferences were rough. Once I was sponsored by my work to attend a SANS conference. There were probably about 1000 attendees, but not a child in sight. I had to arrange a patchwork of help, including flying my mom out to stay with us for some of the time, and finding an (expensive) nanny for two days. This prevented me from going to any of the BOF evening meetings. As a single mom at SANS I was definitely not in the main demographic, but I have always been somewhat of an iconoclast, so it didn’t bother me that much. Still it would have been nice to meet at least one other parent who had their kids with them. I can’t help but think that if childcare was a norm at conferences it would allow more, different types of people to come. Certainly more single parents! Having childcare available allows parents to network around their children.. Create more connections – and strengthen a “parent community” for future conferences. I also think it is a good learning experience for kids to see what their parents do. Hello Sarah, I know your name from the devChix group online. Just ran across this blog post and had to comment. I have been home for five years raising my kids, running my business, and trying to stay current in the business world; and I cannot tell you how many conferences and growth/networking opportunities I’ve missed because there’s either no child care, or the price is way above my pay grade. These events are unintentionally (in most cases?) set up so that no primary parents can do these events unless they live next door to their unemployed mother. Thanks for taking the initiative here and making the effort! Hello Sarah! What a great effort and a great post. I’ve created a facebook group for childcare at conferences (http://www.facebook.com/group.php?gid=304428716051&ref=ts). What to join? We could use your voice.